Employers face a looming deadline to provide information on the gap between the pay of their male and female employees. 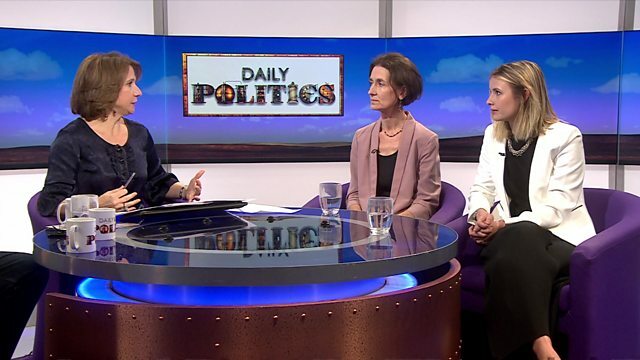 On the BBC's Daily Politics, Rebecca Hilsenrath of the Equality Commission said the rules aimed to "shine a light" on "conscious and unconscious bias" in the workplace. Sophie Jarvis, of the Entrepreneurs Network, said she backed female role models, rather than formal quotas, to bridge the gap. Does Brexit threaten NI peace? Should England boycott the World Cup?